Cloud Computing – What it is? 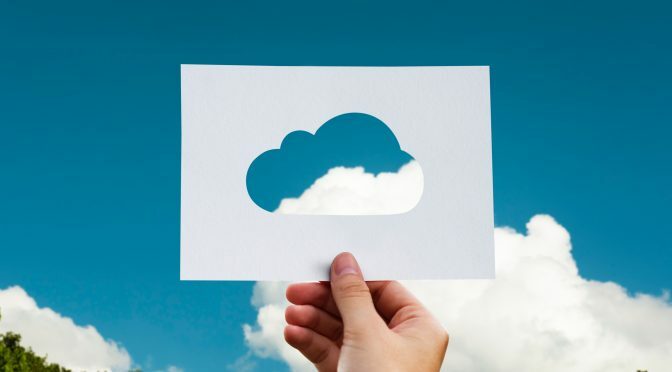 The concept of cloud computing has gained immense popularity in the recent years because of its exceptional features such as flexibility, scalability, and affordability. In simple words, cloud computing offers network-based access to different computing resources in a convenient way using on-demand process. Using this technology requires minimum management effort and it can be implemented and provisioned rapidly. It is important to form a cloud strategy before introducing cloud computing to your business. This strategy must be well thought of and formed after thorough consideration. Having an understanding of cloud technology basics will help you to know its features and advantages you can derive by implementing cloud computing. Thus, it is important to learn the basics, know its features, and then implement the technology. This one is particularly important; make sure you access your current business state i.e. its goals, environment etc. thoroughly before implementing this technology. It is advised to conduct a SWOT analysis as this will help you to obtain maximum benefits of cloud computing. The requirements of every business, when it comes to cloud computing, are different. Therefore, it is important to consider several cloud computing models, evaluate their pros and cons, and select the one that suits your business requirements and specification. Another important factor when implementing cloud technology in your business is to consider your finances. The initial cost of its implementation can greatly disturb your budget depending on the model you have selected and numerous other factors. Hence, consider your finances and take the decision accordingly. Implementation of the latest technology doesn’t come without its share of risks. Therefore, have a deep understanding of risks and regulation compliance before you implement this technology. Hiring cloud computing services for implementing this technology doesn’t imply that you need to stop relying on in-house hosting. It can save you from landing in a stressful situation if an issue with the cloud computing has surged up. You will not have to rely on third-party companies that offer cloud computing services and get the issue resolved without any delays. Private cloud is beneficial. However, if you are relying on third-party cloud computing services, having a private cloud can prove to be wastage of resources. Moving to the cloud technology can be an exciting journey for your business. However, for a smooth transition, you need to ensure that you are investigating all the details of the ‘move’ and are having a thorough understanding of each aspect. Cloud computing technology implementation is the need of the hour for every business to survive and sustain in the cut-throat competition. Thus, do not make any more delays, make a plan for implementation of this technology, and execute it with the help of professionals. Looking for premium services for cloud computing, Perth and Melbourne, BizQuip is your reliable option. We provide comprehensive IT support and cloud computing services for every type of business, regardless of its nature, size, and scale. We offer specialised cloud computing technology services; our professionally trained experts can help to make a cloud computing plan for your business and ensure its smooth and hassle-free execution.